Behold! Every movie I saw in theaters this year. Even though I neglected to write anything about most of them. What The Town demonstrates is Affleck’s exceptional ability as a director to tackle large-scale productions such as this. Affleck could not have executed the brilliantly crafted chase sequence set in Boston’s congested North End more perfectly. But one good chase sequence that has you jumping in your seat explosion after explosion cannot and does make a movie. 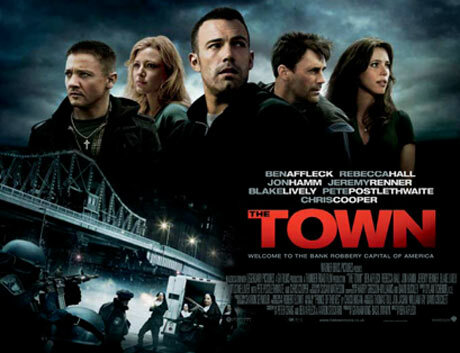 Ben Affleck’s second directorial effort, The Town, is a part of an emerging subgenre of Boston-set crime films that include Mystic River (2003), The Departed (2006), and Affleck’s debut feature, Gone Baby Gone (2007). In The Town, Affleck expands the scope of his lens with this film about Charlestown bank robbers. 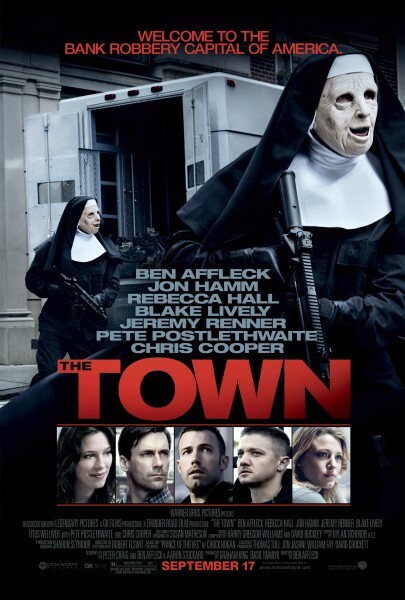 Well, I am officially creeped out and sold on seeing The Town, which hits theaters September 17. The Town is Ben Affleck’s second directorial effort. It stars Affleck as the leader of a group of Charlestown, MA bank robbers. As the gang is pursued by the FBI and one particular agent (Mad Men’s Jon Hamm), Affleck’s character falls for a bank manager (Rebecca Hall). 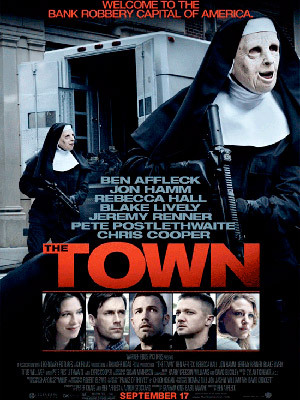 The Hurt Locker‘s Jeremy Renner and Gossip Girl‘s Blake Lively also star in The Town. I’m excited to Jon Hamm and Blake Lively in roles beyond their television personas. I have faith I can accept Hamm as a character beyond Don Draper but I am less convinced that Blake Lively can move from her Gossip Girl career to a legitimate film career. I am particularly excited because some scenes for the movie were filmed in the area where I live.